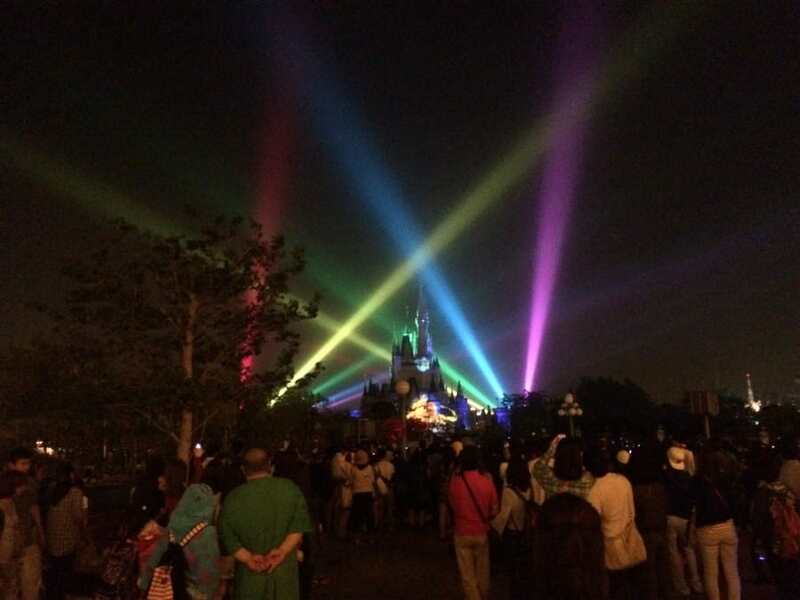 The newest nighttime show has debuted at Tokyo Disneyland Park, and it’s exactly what this park needs. If you have not heard of the show yet, be sure to watch the official trailer. 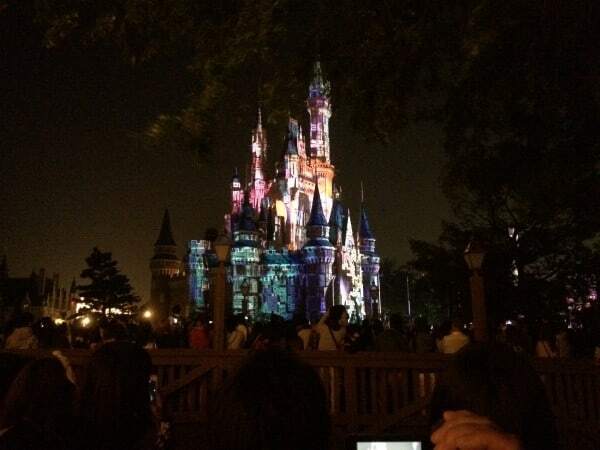 Once Upon A Time is a nighttime projection show on Cinderella’s Castle. Accompanied by fireworks, lasers, spotlights, and pyrotechnics. 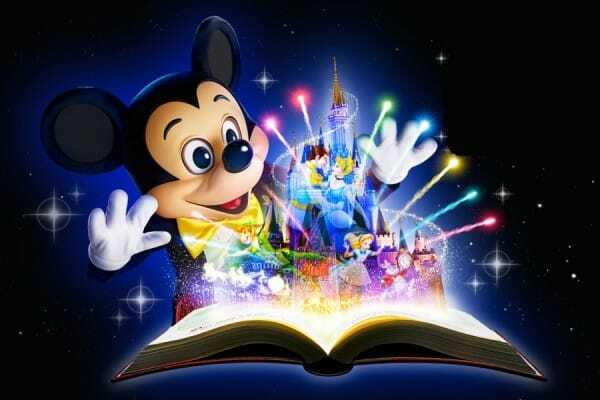 It is very similar to Disney Dreams in Disneyland Paris and Celebrate the Magic at Magic Kingdom Park. It is shown two times per night and will have a lottery for priority seating. Narrated by Mrs. Potts, where she is telling fairy tales to Chip. These fairy tales include your favourite classics such as Alice in Wonderland, Beauty and the Beast, and Snow White. The show lasts roughly 20 minutes. If there are nights where the wind is strong or it is raining, the show should still go on but an alternative version will be shown, with less pyro and fireworks. There are strict laws about fireworks within Tokyo. This limits Disney’s ability to have over the top fireworks and pyrotechnics. 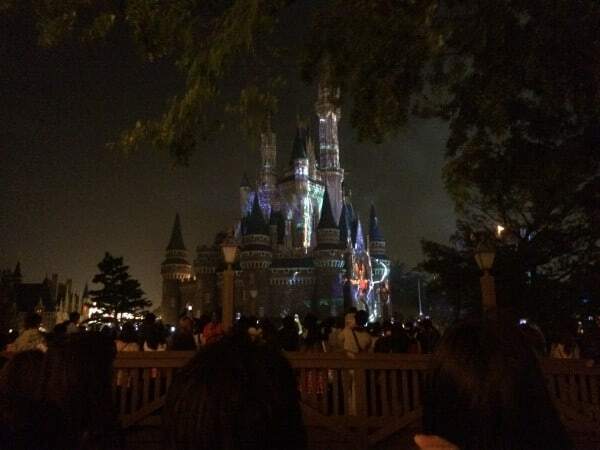 However, there is use of some fireworks and fire during the show. While it is not as elaborate as Disney Dreams in Disneyland Paris, it is still incredibly impressive. The use of lasers is very subtle and adds texture to the already colourful display. Examples include sparkling effects on the castle and music notes floating about. 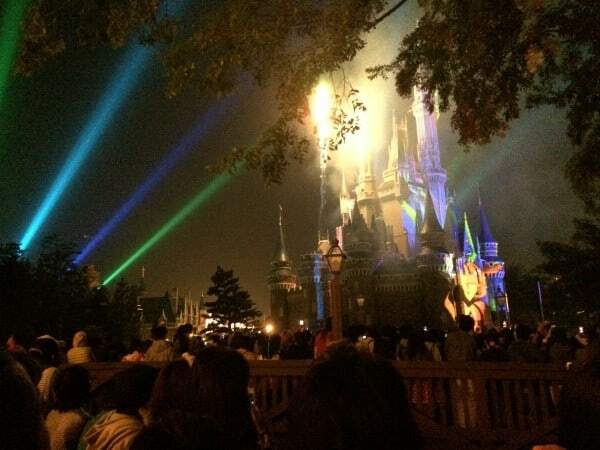 They also have lasers shooting out of the castle into the sky, which looks breathtaking in the rain. The use of spotlights give the show that final touch, that takes it from a simple projection show to a grand spectacle. They remind me of spotlights used in Fantasmic in Tokyo DisneySea. Priority seating is available for the show in front of the castle. There you will be able to see how incredibly detailed the animations are in the show, not to mention you get to sit down! However, priority seating is only available by a random lottery. The lottery works exactly the same as the lottery for Big Band Beat and One Man’s Dream. You use your park tickets and enter a lottery at a special kiosk. You simply select the showtime you wish to see. It will ask how many people in your party. Then you scan all the park tickets. After it will tell you if you won or not. If you win then the tickets will print out for you, and the Cast Members will congratulate you on your luck! Sadly, you are only allowed to try once a day. If you are unsuccessful then you cannot try again until the next day. You can find the lottery in Tomorrowland in the same spot where it’s done for One Man’s Dream. The show is designed in such a way that it is hard to have a bad viewing angle. Close to the castle or in the street at the end of the World Bazaar, and you’ll have a great experience. Just avoid being behind a tree if you can. The “best” non-priority seating spots would be in the hub or in front of the Partner’s Statue. 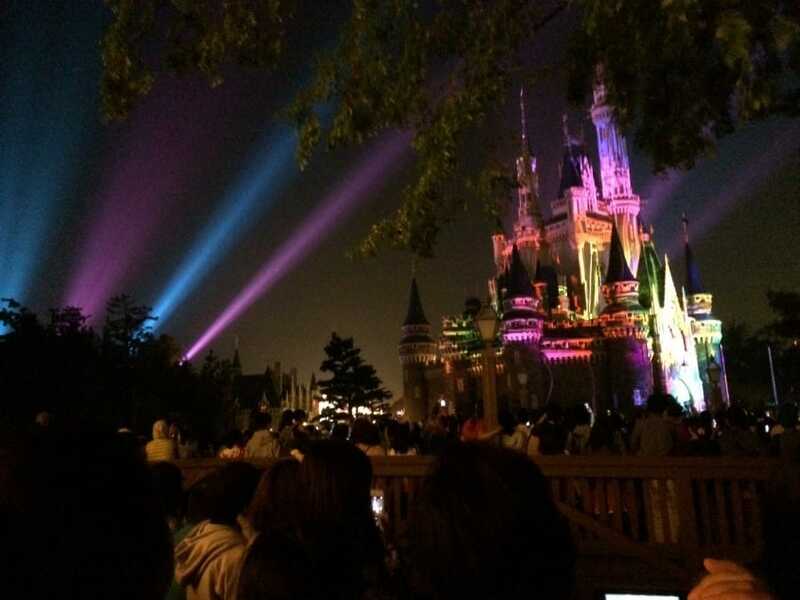 While the show is not as grand a spectacle as Disney Dreams in Disneyland Paris, it is a very welcomed addition to the nighttime entertainment at Tokyo Disneyland Park. You might find the addition of elements from “Frozen” jarring in contrast to the rest of the show, but it doesn’t spoil what is arguably a great exhibition of Disney’s ability to use light and pyro to tell a story. Shows run every night roughly at 8:50pm and 9:40pm. Make sure to add this to your “must do” when you visit Tokyo Disneyland Park. Did you find this useful or have any questions? Make sure to leave us a comment. Keep up to date with the latest advice and tips for Tokyo Disney Resort by subscribing!